A selection of some of the new products and innovations from the 2012 International Builders Show. 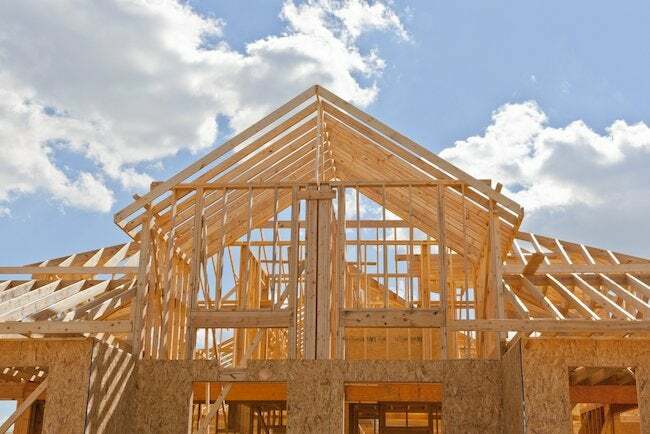 Every year, builders, contractors, manufacturers, and industry professionals attend the NAHB International Builders’ Show to see the latest in building products, trends and innovations. This year, the show featured more than 800 exhibitors and over 165 educational sessions all geared to inform and enlighten the building professional. So, what’s new for 2012? Just as mobile phones and tablets have improved the way we communicate, receive news, and stay connected 24/7, innovations in technology for the home are transforming the way we do everything from monitoring the lights, shades, and temperature to customizing a more personal shower experience. 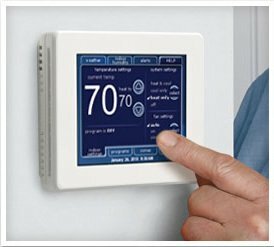 Lennox, one of the leaders in residential home heating and cooling, showcased the icomfort Touch® Touchscreen Thermostat, which lets homeowners monitor and adjust the temperature at home from anywhere in the world, thanks to its iCloud connectivity. The device also delivers live weather data and a five-day forecast, as well as service alerts and reminders to keep homeowners and their dealers informed of the system’s status. At Lutron, the RadioRA 2 wireless system offers light, shade, temperature and appliance controls from a variety of wall-mounted keypads and handheld remotes within the house, or from anywhere on the road using the Lutron Total Home+ mobile app. Electronics maker Panasonic introduced a new generation of energy efficient WhisperGreen ventilation fans that offer built-in variable speed controls, a high/low delay timer, and motion and humidity detectors. And for a customizable shower experience, Kohler showcased the DTVII, an advanced digital platform that controls water, sound, light and steam, all at the touch of a button. Builders and consumers alike continue to look for products that are good looking, perform well and offer eco-friendly benefits. 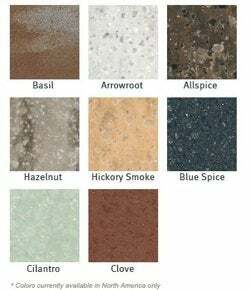 DuPont’s Corian solid surfacing material, made from 95% post-consumer recycled waste, is now available in eight new spice-infused colors. Trex, manufacturer of a composite decking material made from recycled wood and plastic bags, previewed three new deck colors, along with LED lighting for new and existing stair, railing and deck installations. The company also introduced “Elevations,” a low-maintenance, dual-coated steel framing system that won’t sag, rot, or warp like traditional pressure-treated wood substructures. JELD-WEN—with its proprietary AuraLast wood surface-to-core protection that results in 96% fewer VOCs than conventional solvent-based dip treatments—showcased its custom wood double-hung window program, which includes recycled wood and copper-clad options. Owens Corning’s EcoTouch Insulation is formaldehyde-free and made with 99 percent natural materials, a minimum of 36 percent post-consumer recycled content, and 58 percent total recycled content. For homeowners who want the look of natural wood and stone without the cost, there are great new products on that front as well. Armstrong, known for its wide range of wood, laminate, vinyl, stone and linoleum flooring products, introduced Luxe Plank, a beautiful wood-patterned vinyl strip flooring that is installed easily and securely with self-adhesive flanges. Shaw Floors introduced a selection of new ceramic and porcelain tiles along with DuraTru—a beautiful wood-patterned, resilient sheet vinyl flooring product. 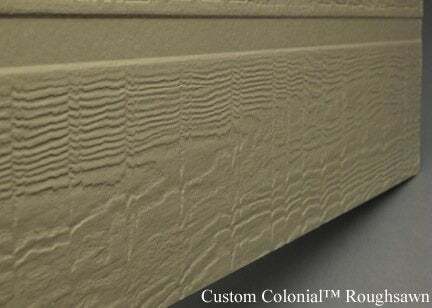 James Hardie, manufacturer of fiber cement products, showcased four new HardiePlank lap siding profiles; two of them—Custom Beaded Cedarmill and Custom Colonial Roughsawn—offering a foolproof wood grain look and texture. AZEK, known for cellular PVC decking, trim and moldings, previewed its VAST Composite Landscape Pavers. Made almost entirely from recycled materials, the 4” x 8” pavers come in five colors, weigh half the weight of traditional pavers, and are stain-, impact- and scratch-resistant. And finally, Formica introduced 180fx, laminates that capture the true scale of large slabs of granite and feature edge treatments that defy the standard of laminate counter installations. To view more of our favorite products showcased in Orlando, take a look at our 2012 International Builders’ Show Highlights.